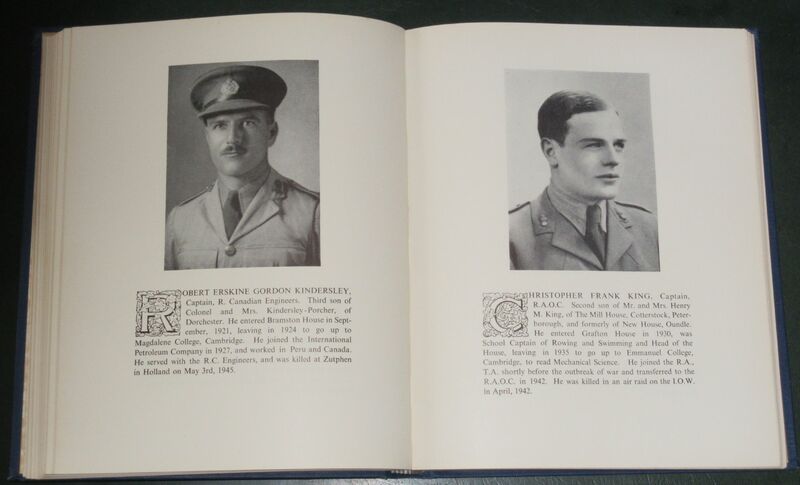 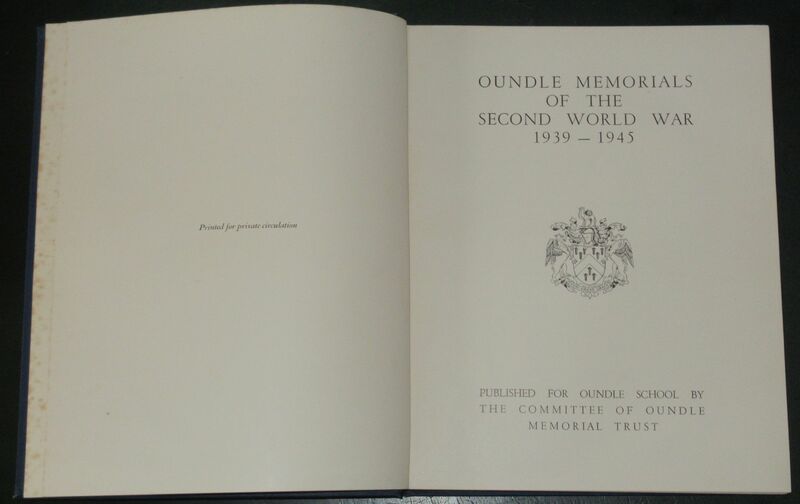 Oundle is a public school in Northamptonshire, and this book records the details of former pupils who were killed in action during the Second World War. 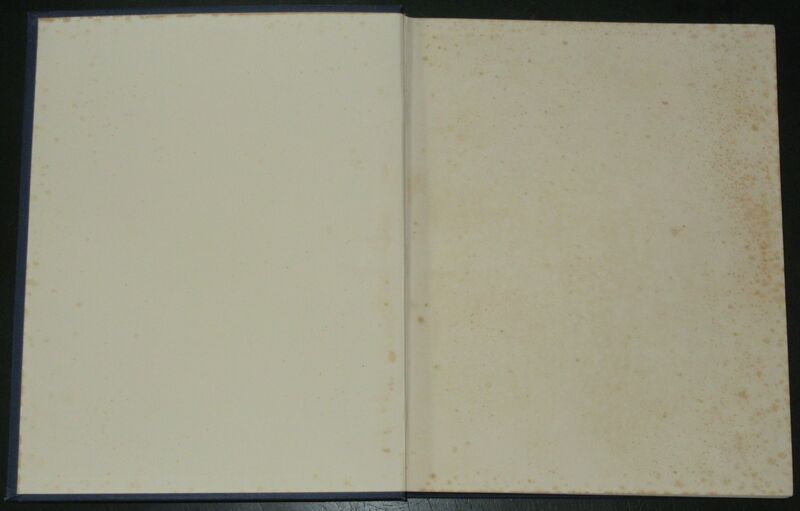 The condition of the book is generally ok. 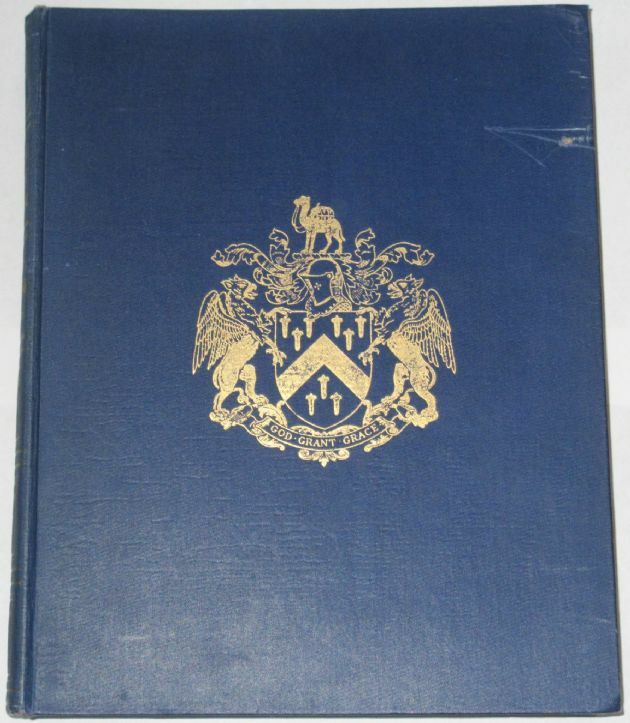 The blue cover boards have several minor scuffs and scratches, and wear and bumping along the edges and corners, but the spine is intact and all pages are intact and tightly bound. 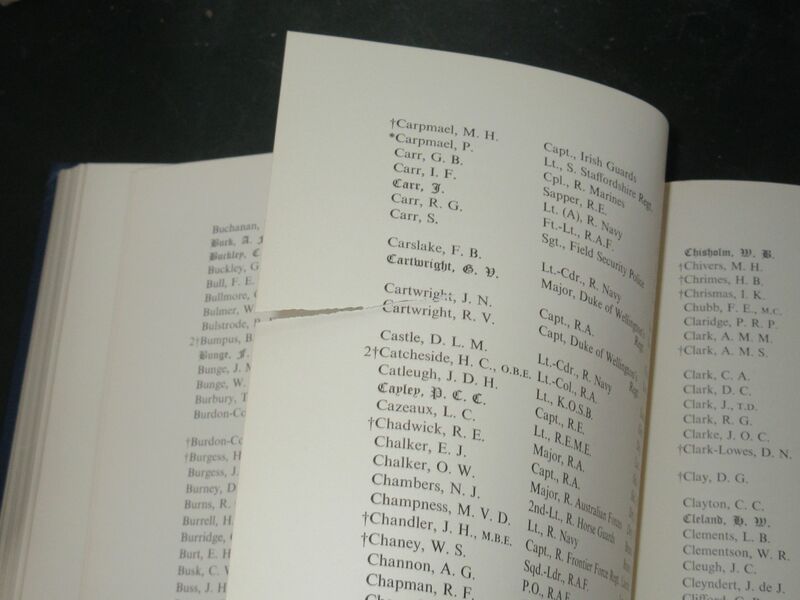 There is some foxing to the inside covers, and a 6cm tear along the edge of one inside page.